Punjabis or descendants of Punjabis. AGAIN, PLEASE NOTE: THIS ARTICLE IS ABOUT ONLY THE TALIBAN. MOST MUSLIMS ARE DECENT, PEACEFUL, LAW-BIDING PEOPLE WHO ARE AS APPALLED BY THE EXCESSES OF THE TALIBAN AS I AM. My Pakistani friend tell me, That is not a true story, That is only media propegenda. 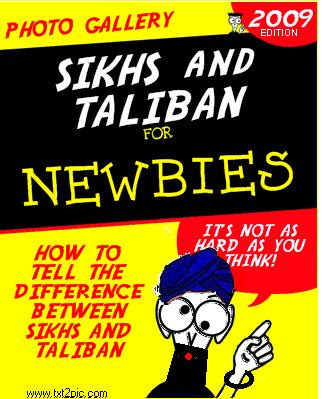 Taliban wahan per rehne wale sab logon se tex lena chah rahe hain, but media sirf sikhon per issue bana raha hai. Guru Nanak's closest companion Mardana came from a Muslim family. 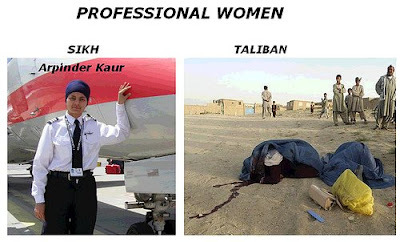 SO so sad what our Muslims sisters have to endure at the hands of their supposed brothers, the Taliban butchers. 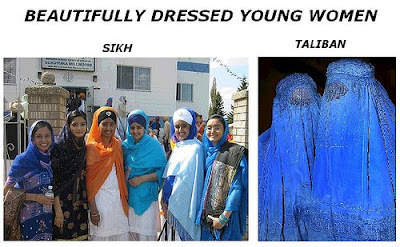 What a huge difference between the status of women in Sikhism and Islam. To hear Muslims tell it Islam is a peaceful religion. It boggles the mind anyone could mistake religion and the love of God for murderous intent. There will be jusice. there will be peace. One day there will be silence and nothing to eat. If we keep going on not forgetting blue star one day the world would definitley not be at ease. Anonymous Ji - Have you ever heard: "Those who do not remember the past are condemned to repeat it? We Sikhs love and honour our shaheeds; we will m and the blood they shed. Nor will we ever forget the occasions - such as the Bluestar Massacre - where they died. This does not mean we need to have a spirit of hatred and unforgiveness toward those who killed/raped/tortured us. Forgiveness may come. Please let our wounds heal before asking this of us. Few of us are saints. 99% pakistani against this act of taliban in swat valley.our sympthy is with sikh comunity. 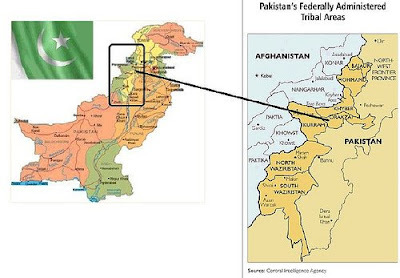 Dear Anonymous Pakistani ji - salam to you ! It means a lot to me to get a comment like yours. Being halfway round the world, it's really hard to know what the attitudes of the ordinary Pakistanis are. Understanding each other and respecting our differences is a start. Thank you for your kind words. I put a lot of work and thought into this post and I admit I am quite proud of it. Pictures often tell a story much better than mere words. I understand that the suicide rate among women in Afghanistan under the Taliban was astronomical. aao na insaan hi bane rahen......zakhm dikhane ko to sab ke paas hai....chhodo na bhulte hain...koshish karte hain...dard ka kya hai wo to hamesha ubharta rahega....problems kahan nahi hain....dayra kyon chhota kar len....jo rab ko manzur tha so hogaya....ham kitna gham karen....ek khun bahna hi dard ka sabab hai uslaash ka mazhab puchhna achha lagta hai kya? To begin with a minor point, I am a sister, not a brother. It is true that what has happened is the Hukam of Vaheguru (Will of God.) It is the will of God that you write to me and that I reply. It is also the Will of God that I, as a Khalsa, fight for and uphold the rights of the weak and the oppressed. If you have something you would like to say, I will offer you what I have offered others. You are welcome to write a guest post (in English). Please, next time, try to write in English, as my Punjabi is weak. you have got real nice views, nice thinking. But look at it other way, how can we forget what happened unless we know that it wont happen in future. In this care, who know about future, I can see all those things happening in Present itself. Someone gotta stand up, someone gotta fight it. 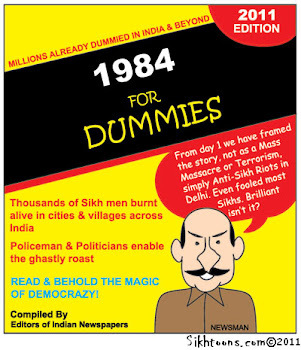 Look at 1984 unfortunate events and even after 25+ years, no one is prosecuted, so no one was responsible for this heinous act? We cant forget and sit back, until we get our rights, until there is peace in world thats gonna persist. I really appreciate your way of thinking though, just cant find it logical to let those killers roam freely and create more disturbance. @Mai: You are doing wonderful job, sister. God Bless you. send me these pics please! 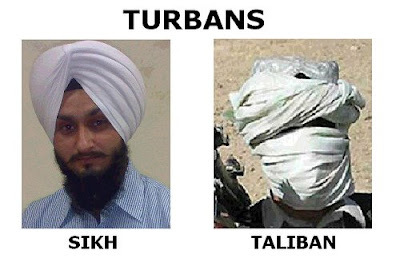 gupt_singh@live.co.uk the taliban from sikh difference ones! hq please. Anonymous ji 1. Sorry it's taken so long to answer you. It loads a bit slowly because of the content and the sideboard. There is really nothing I want to take out, so please just be patient. Drink a nice cup of tea or a mango lassi or whatever pleases you. Gupt Singh ji, I will be glad to send the pictures. I put them together them to be seen. 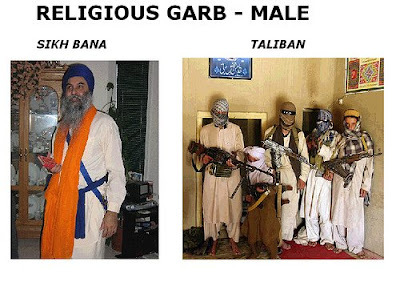 I'm a Muslim and felt obliged to say that although this is supposed to show how bad Islam is, it actually shows how dominant Taliban men really are. 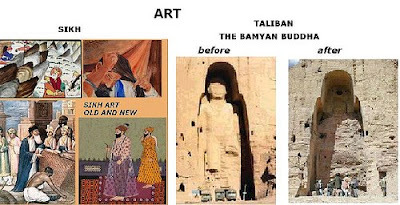 To say that this dominance of Taliban is linked to Islam is preposterous. Islam promotes peace. The meaning of Islam means submission to God. 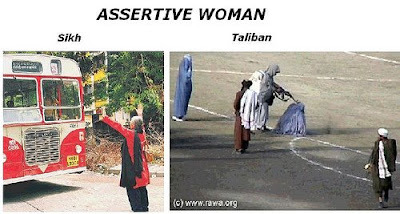 What these pictures shows is submission to the Taliban. To assume that all Muslims are like this because you've seen a few pictures is very naive and reproducing images in this way just portrays a negative stereotype which accounts for less than 1% of approx 1 BILLION MUSLIMS worldwide. The other 99% condemn the actions which are seen in these images. Islam is a wonderful religion yet the world seems to be captivated by the nutjobs instead of the real Muslim men and women who work hard, love their neighbours, strive towards good deeds and helping one another regardless of gender, creed, nationality, religion etc. Put simply: Don't judge the barrel by a few rotten apples. May you have a blessed and joyful Ramadan! Hi Mai. Just saw your reply. I just wanted to reiterate that's all. It's very easy after immediately seeing them pictures to assume that many Muslims would be like that and after seeing so many pictures in the media and the collection you have provided, for others to think think that this is the norm. That was my point that's all. So I just wanted to clarify that for others viewing pictures and reading comments. "AGAIN, PLEASE NOTE: THIS ARTICLE IS ABOUT ONLY THE TALIBAN. MOST MUSLIMS ARE DECENT, PEACEFUL, LAW-BIDING PEOPLE WHO ARE AS APPALLED BY THE EXCESSES OF THE TALIBAN AS I AM. " I hope that eases your mind. It is as much as I can do. However, I will offer you an invitation to write a guest post explaining your views. Within simple parameters, it would be unedited by me. If you are interested, send me an e-mail at simayanan1@gmail[dot]com. Hi Mai. That's all I wanted to see. A reiteration of the fact it is the Taliban and not all Muslim's behaviour. Thank you for that. I'm not quite sure what you mean about guest post about my views? Do you mean my views on the Taliban or my views about this article? I'll send you an email from me so you'll have my email address and you can tell me. Wow I didn't know that. It just goes to show the ignorance of American people to be quite honest. On a side note, I also believe it had nothing to do with Muslims ( and not just because I am one). There's so much evidence disputing what is portrayed in the media, like when the BBC reported the destruction of a building which was still standing in the background and the fact that the buildings fell straight down like an implosion etc etc. USA people are not only ignorant, many of them take pride in their ignorance. BTW, I usually have some sort of linguistic consciousness-raising project going on. Right now, I am refusing to use the terms America and American to refer exclusively to things of the USA. People of two continents and 35 countries. It seems unfair for the USAers to hog the name to themselves. Since I currently reside in the USA, you better believe I get some strange looks. 2. That's just a rule for the Khalsa (not true); I'm not that devout. 3. Yeah, we're supposed to, but I don't. 4. Who told you that!? There IS a huge difference between ignorance and stupidity. Please explain the point of ignorance. If you cannot perform a surgical function on the human brain then YOU are ignorant of the procedure. Most Americans are NOT concerned with problems connected to other countries unless if affects their mode of living. Stupidity is an inability to learn. The individual generally has no control over this. To call someone ignorant should not, in and of itself, be an insult. Ignorance is a lack of knowledge, generally one of three types. Each can be valid in different circumstances. 1. I don't know, and I am willing to learn. 2. I don't know, and I am unwilling to learn. 3. I don't know and I don't care. The USAers I know generally fall into one of those 3 categories, although I know a few who are very knowledgeable. All humans are ignorant in all countries. I feel to single out the USA was uncalled for. It is impossible for any one person to know EVERYTHING-so in reality we are all ignorant of various fields of endeavor. One may be a doctor (phd) of physics but ignorant on the ways and antics of undersea creatures. The word itself, when spoken, denotes a inferior connotation. I would prefer that you use the word "unaware" to replace "ignorant". Unless, of course, you care to rile tha Americans-ME, included. PS- I am, for one, ignorant on the cultures of the world. Thus you find me here perusing. I am using the word "ignorant in a very specific way; it conveys exactly what I mean. As I said, it is not an insult; it is a statement of fact. I don't mind riling a few or even many USAers. This blog has, in fact, riled whole governments. Muslims are at loggerheads not only with the non-Muslims but within their own community there are lot of internal fights and violence. Islam and Violence are synonymous. Vadiya article tusi share kita veere. Mai v guru di kirpa nal Sikh Beard Care da blog shuru kita mai chahunda ki tusi ehy blog world famous karo. 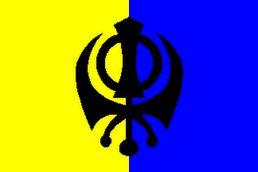 Waheguru gi khalsa waheguru gi ki fathe.